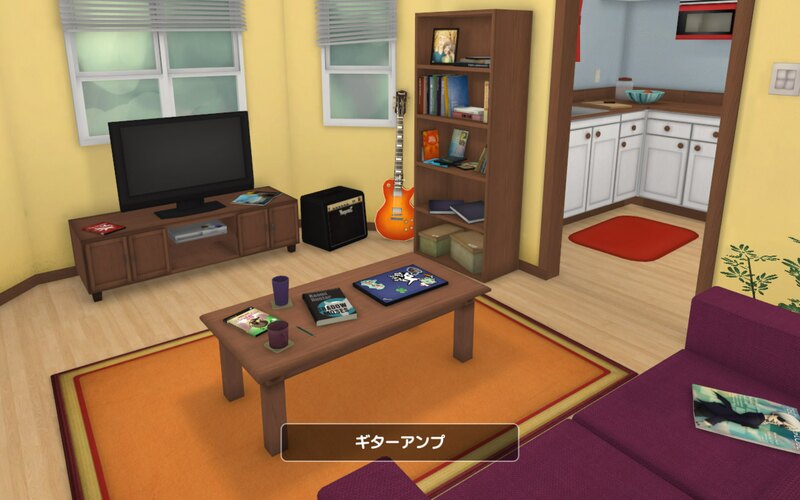 What if you had a device that you could point at any object and learn that object's name in Japanese? It would be pretty cool, right? This idea is the premise of a language learning game called Influent. Influent's main character has a machine that zaps items and speaks their names in Japanese (or Mandarin, Russian, German or any of the ten languages currently supported). Interesting concept, right? But is it a good game? Or, more importantly, is it a good language learning tool? 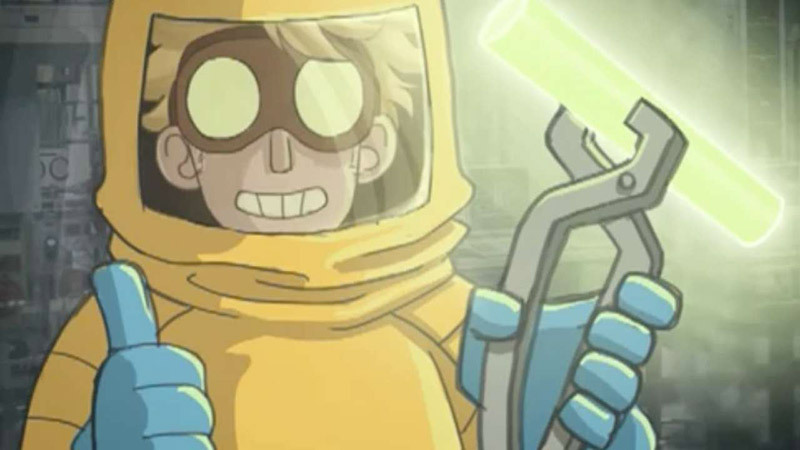 We played Influent and found out. Influent's story revolves around an inventor named Andrew Cross, who created a handheld device called the Sanjigenjiten. The Sanjigenjiten can "zap" any object and it will speak the name of that object in your chosen language! Andrew was about to have it patented when it was stolen! So he started a "Firestarter" campaign to raise the lawyer fees necessary to sue to the thieves. You, the player, help him raise the lawyer fees by… going around his house and zapping objects? Anyway, the story doesn't make sense and is distracting from the learning experience, so it's best to just ignore it. The art direction is top notch and highly polished. Influent has a 2D Penny Arcade style, and the designers did a great job transmuting the 2D design into the 3D environments. Andrew, his world, and the music all fit together nicely to form a very pleasing experience. But what's "game" about this game? 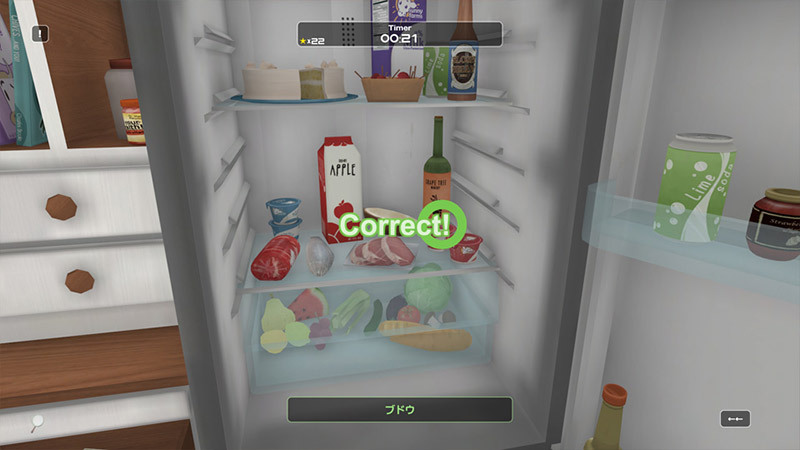 Controlling Andrew, in either first or third person, the player navigates the apartment, collecting words, building vocab lists, and then time attacking those vocab words in a mad dash through the home. Navigating in 3rd person mode is wonky and unintuitive, but first person mode is easy breezy, especially if you've played any first person shooters on PC before. Non-gamers may find the controls an obstacle, which is an unfortunate roadblock to those interested in the game. At first, the whole experience of clicking on objects felt a bit underwhelming. However, as the game progressed, its value revealed itself. In truth, I wouldn't call Influent a game so much as an exploratory learning experience. And that's a good thing. Games are meant to be fun diversions. Learning, as much as we'd like it to be fun, is a buckle-down-and-do-it activity. And Influent makes the buckling down of language learning much less stressful and a lot more interesting. But not fun. Basically, Influent is a virtual memory palace. Unlike flashcards, books, and teachers, a memory palace utilizes your spatial memory to memorize objects and ideas. But instead of having to sit with your eyes closed, build your memory palace, and place objects, Japanese words, and kanji inside it, Influent does it for you! It's as if Three Flip built a memory apartment and hooked your brain up to it so you can explore! Some people are audial, visual, sensory, tactile, or spatial learners. If you have trouble concentrating with traditional learning methods, Influent might be a great way to jump start your language learning journey. You also get the experience of learning like a baby. A tall virtual baby. When you start learning a new language, you're starting from scratch in your teen or adult years. So you begin learning words like "lawyer", "stapler", and "trade deficit". But you don't learn words like "shoelace", "magnet", or "ceiling". This game is a great way to explore a human environment and pad your vocabulary with things that human beings generally interact with, which are not usually taught in textbooks. Finally, Influent's verb and adjective learning system is great as well. After making a few vocab lists, you unlock tabs on each object for verbs and adjectives. This is a great way to learn because you learn to associate words like "to save" with a piggy bank and "heavy" with a dresser. Again, if you're a more visual, tactile, or spatial learner, this will help you more than flashcards and textbooks. Influent is not perfect. It's a good supplement to your regular language learning regimen but can't stand on its own. However, it does offer you the chance to learn using a part of your brain that is usually untapped in adult language learning. Is it worth you ten dollars? It depends on who you are. It certainly can't teach you all there is to know, as there is no way to learn grammar and the game's total vocab list is only four hundred twenty words, so advanced language learners stay away. But if you're starting on your Japanese language learning journey or want to fill in some gaps in your vocabulary, this is a unique way to do it. All in all, it feels like a good start. Polished, pretty, and a neat idea, but I really hope it goes farther. The apartment is fine, but how great would it be to learn vocab at a grocery store, on a city street, or at a zoo? The art style, engine, and general prettinesses are all in place for this game. So more meat and potatoes please. Build this world! If this game had any more to it than a tiny room maybe I’d use it. But right now it could be replaced in a single day with some sticky notes in your own home. For… the cost of those sticky notes. Or free, with Anki. Back when this came out, I had high hopes that it would one day expand beyond the one room and into an entire town, filled with post offices, grocery stores, streets, and so on. Easier said than done, I know, but as it stands, the one room Influent isn’t really worth the price of admission. Even if you get it on a Steam sale, there are better ways to spend your time studying.